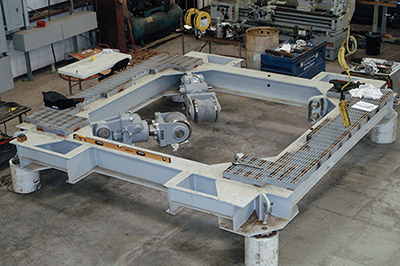 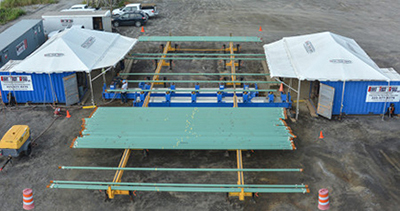 Pipe Machining Services – Deep Water | Bevel Tech Group, Inc.
Bevel Tech Group, Inc. leads the industry in the machining of steel catenary riser deep-water pipe machining projects. 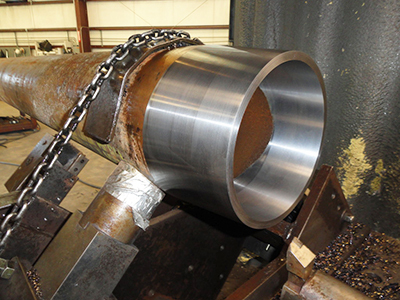 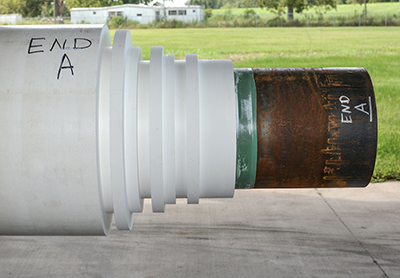 Our deep water pipe machining services have been utilized by most of the major oil companies for several years. 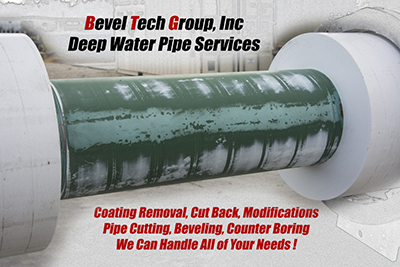 Bevel Tech Group, Inc. has been partnering with the major oil companies and industry since the early 2000’s to perform specialized pipe cutting, OD and ID counterboring, coating removal and/or modifications, as well as many other services for our Deep Water oil industry customers. 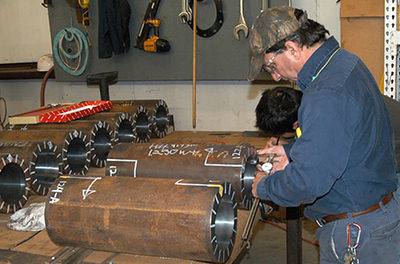 We have a fully equipped, trained staff of specialists on hand to meet your deep-water project needs. 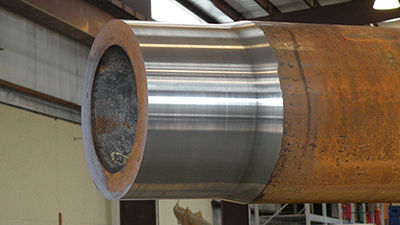 Our field specialists maintain a high set of standards in meeting the strictest requirements of your SCR deep-water project, providing quality and reliability on each project. 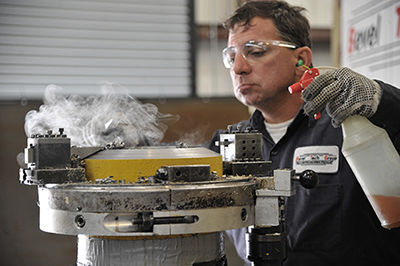 Our automated CNC machines, loading racks, and all supporting equipment continue to be engineered and updated to meet the ever-changing demands and specifications of our customers. 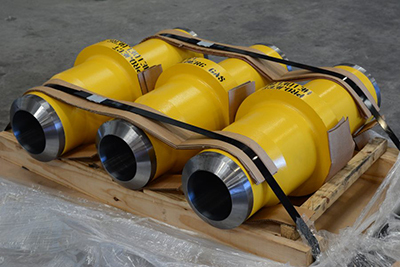 This equipment is portable and can be shipped anywhere in the world to provide our customers with our counterboring or other deep water services. 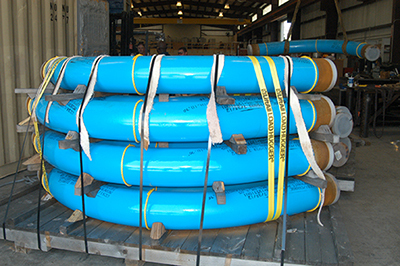 Check out just some of the services we have to offer below for the Deep Water industry.